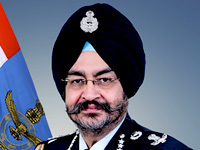 The Hindustan Aeronautics Limited successfully demonstrated flight of a 10Kg Rotary Wing (Helicopter) Unmanned Aerial Vehicles (RUAV) here in the presence of its Board of Directors, recently. The RUAV is of a 2-stroke petrol engine, twin blade main rotor and tail rotor, payload capability of 2.5Kg including live stream video camera and range of the vehicle is 8-10 Km with an endurance of one hour. To achieve self reliance in the aviation field and to enhance its R&D efforts, HAL is working closely with premier educational institutes and has established chairs at IITs (Madras, Roorkee, Kharagpur, Bombay, Kanpur) and IISc Bengaluru. The RUAV is developed in association with IIT Kanpur and is the first outcome of HAL's tie-ups with academia. 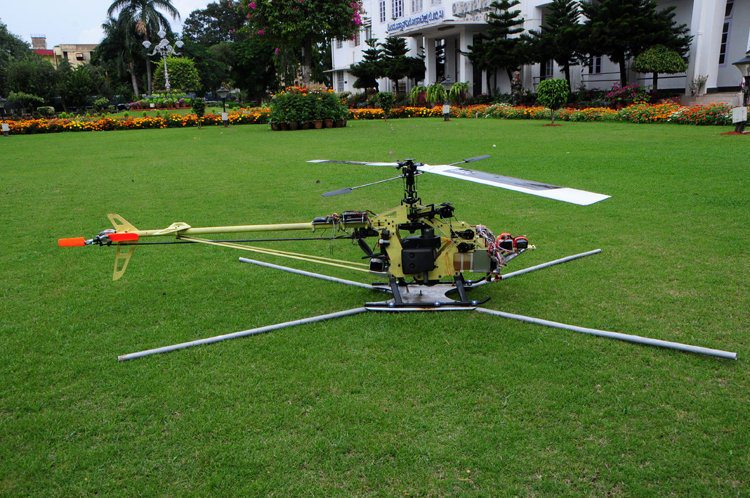 With this demo, HAL's Rotary Wing R&D Centre (RWR&DC) is well poised to employ its skills and capabilities to undertake development of Rotary UAVs of higher weight classes and weapons as payloads. The success is the testimony of the Industry-academia collaboration, says Mr. T. Suvarna Raju, CMD-HAL.